The Prostestant dispensationalist movement forwards the most popular Western view of the Second Coming of Christ. Dispensationalism, which was founded by John Nelson-Darby in the 19th century, often presents a premillennist view which involves a "Rapture" of Christians from earth, followed by a seven-year tribulation. After this tribulation period the Antichrist will be destroyed by Jesus, who proceeds to establish a millennial reign of peace on earth, which will eventually be interupted by Satan, who will be unleashed at the end of the thousand years to attack the kingdom presided over by Christ. This view of the Second Coming is especially prevalent in North America, and has been greatly popularised in recent times by books such as Hal Lindsey's The Late, Great Planet Earth, and Tim LaHaye and Jerry B. Jenkin's fictional Left Behind series. There are some variances in premillennism, such as whether the Rapture will occur before, during or after the tribulation period, but that should not concern us too much here. The majority of dispensationalists believe that the Rapture will occur before the tribulation period (pre-tribulationalism) to spare believing Christians from the reign of the Antichrist, who will then return with Christ after the tribulation and leave in peace for a period of a thousand years. Yet the above passage in 1Thes clearly concerns the resurrection of the dead (or General Resurrection) which takes place at the Last Judgement after the world is destroyed by fire, and should therefore be distinguished from the Second Coming. 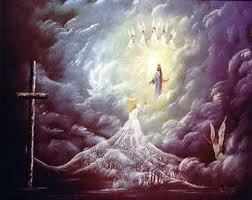 The Paraousia of Christ on earth is separate from the "Four Last Things" of death, judgement and heaven and hell. 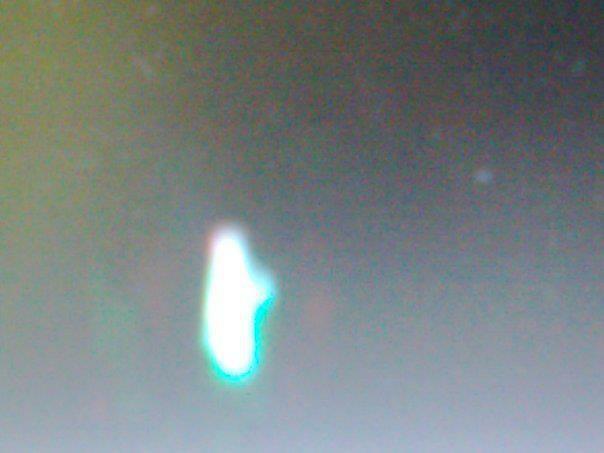 The Second Coming will be a visible event seen by all, accompanied by the largest earthquake known to human civilisation - not some sort of invisible and silent Rapture that will secret believers away into Paradise, leaving only sinners to face the wrath of God. It is only through this suffering and death that the Church will find its true victory over evil, and just as Christ rose from the dead on the third day, so too will the Church be resurrected after this final trial ultimately results in the destruction of humanity. But through an act of infinite mercy, the Second Coming of Christ is suspended until the Church is purified, and those who have fallen away return through the gift of the Second Pentecost. 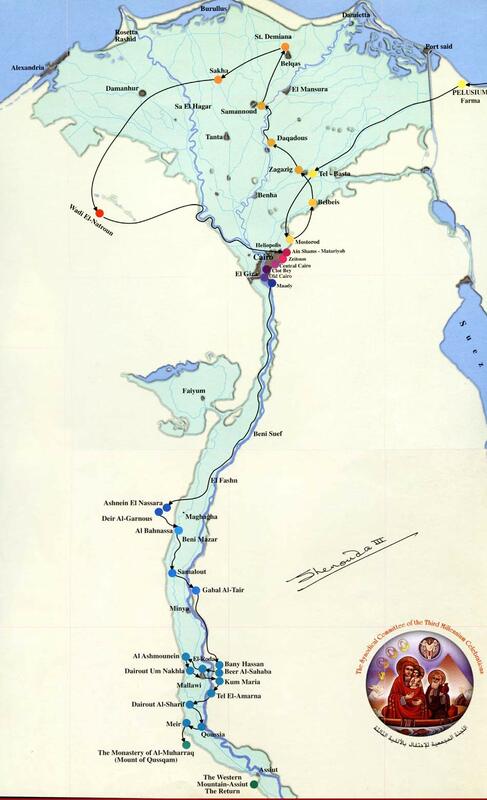 Below is a map detailing the journey of the Holy Family during their flight into the wildness according to ancient Coptic tradition (click on the image below and then click again in the link for a close-up view). The map is officially endorsed by the Coptic patriarch Pope Shenouda III. As can be seen on the map, Zeitoun (the place of the first apparitions in Egypt in 1968) is one of the areas which the Holy Family found sojourn in during their escape into Egypt, and Assiut (the location of the apparitions in 2000) is the most southernly point before the return journey. According to Coptic tradition, the Holy Family remained in Egypt for three and a half years before returning to Nazareth after the death of King Herod. So these modern apparitions are re-enacting the path taken by the Holy Family during their escape into the wilderness. I'll update this post as and when more news comes through. 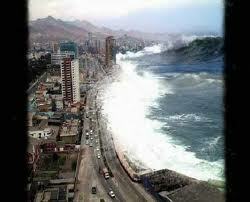 John Paul II - The Third Secret and a Prophecy of a Mega-tsunami? Prior to the release of the Third Secret (or perhaps that should be "partial release"?) in the year 2000, many commentators looked to some words attributed to Pope John Paul II on Fatima in an attempt to gain some insight into its content. The German magazine Stimme des Glaubens reported that the pope had commented on the Third Secret during a conference in Fulda, Germany in 1980. The most striking component of this report was the words: "it should be sufficient for all Christians to know this: if there is a message in which it is written that the oceans will flood whole areas of the earth, and that from one moment to the next millions of people will perish, truly the publication of such a message is no longer something to be so much desired." The language used here, which tells a sudden and abrupt flooding of "whole areas of the earth" by the ocean - an event which will kill "millions", can only describe the aftermath of a mega-tsunami. The deadiest such event in recorded history was that of the 2004 Indian Ocean tsunami, which claimed the lives of around 230,000 people after a 9.0 magnitude earthquake. In order to claim "millions" of lives, this event would have to be on a vastly larger scale, and concentrated on densely populated areas. The Indian Ocean tsunami is possibly the greatest in size that can be generated by an earthquake - anything larger can only be caused by massive landslides, such as that of Lituya Bay, Alaska in 1958, which reached a height of 524 metres (but given the confined geography of the lake the effects of this mega-tsunami was limited to a small area). It is these landslide-generated events, known as mega-tsunamis, that produce waves of such devastating heights. And mega-tsunamis with the capacity to cross oceans can only be generated by large-scale volcanic collapses. This report was originally published in German in the October 1981 issue of Stimme des Glaubens. It is given as a verbatim report of the meeting between His Holiness John Paul II and a select group of German Catholics at Fulda during his visit to Germany the previous November. The preface to the article states, "We know the name of the reporter and also that the document is authentic." This translation was made by Rev. M. Crowdy for Approaches Magazine, edited by Mr. Hamish Fraser of Scotland. It was translated from the Italian magazine published in Rome by Father Francis Putti. Both magazines are worthy of our trust. (See the full text here). So there seems to be some ongoing confusion as to the reality behind these events. Whatever the truth is behind the above words attributed to John Paul II at Fulda, they tie in remarkably well with the various other predictions of a volcano-generated mega-tsunami. We must also question why, given that Cardinal Bertone would undoubtedly know the contents of any "hidden text" of the Third Secret, he did not refute that the Fulda conference took place altogether. If the "hidden text" of the Third Secret did not contain any references to the oceans flooding vast sections of the earth, then it would be immediately obvious to the Cardinal that the Fulda conference was a complete fabrication made by the German press. It would be easier to dismiss that it ever took place rather than attempt to explain the discrepancies between these words and the published text of the Third Secret. Does this implicitly suggest that there is some truth behind the Third Secret containing reference to a future mega-tsunami style event? We also need to take into account the fact that Pope Benedict XVI wrote the forward to Cardinal Bertone's book, so would undoubtedly have been aware that it included reference to the Fulda conference. It would be highly unlikely that he would fail to correct Cardinal Bertone on this matter if he thought it did not take place. So either the pope glanced over this section (again highly unlikely), or he came across some information which changed his opinion as to whether John Paul II did indeed make these comments at Fulda. St. Hildegard and the Flooding of the "Great Nation"
Before the comet comes, many nations, the good excepted, will be scourged by want and famine. The great nation in the ocean that is inhabited by people of different tribes and descent will be devastated by earthquake, storm, and tidal wave. It will be divided and, in great part submerged. That nation will also have many misfortunes at sea and lose its colonies. [After the] great comet, the great nation will be devastated by earthquakes, storms and great waves of water, causing much want and plagues. All coastal cities will live in fear, and many of them will be destroyed by tidal waves, and most living creatures will be killed, and even those who escape will die from horrible diseases. For in none of those cities does a person live according to the laws of God. 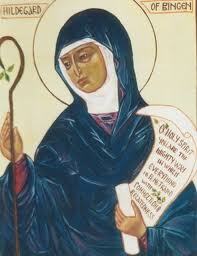 We should note however that this prediction is most likely of far later origin than St. Hildegard. This prophecy is widely circulated on the internet due to its inclusion by popular books on Catholic prophecy (such as those by Yves Dupont), but there are no solid references in any of these works to the original source of this prophecy amongst St. Hildegard’s vast collection of writings. St. Hildegard was a prolific writer, and her works (which include 9 books and over one hundred letters, as well as 70 poems and 72 songs) have been studied extensively by modern historians. The fact that none of these works are referenced amongst the various websites and books which quote the above prophecy should send alarm bells ringing. There were many prophecies falsely attributed to St. Hildegard during the later Middle Ages, such as those issued by the anti-mendicant movement. Given the lack of reference to the original source and the inclusion of some anachronistic language, it is likely that the above prophecy is one of these later pseudonymous writings. We must also take into consideration the fact that the use of pseudonyms to link prophecies to illustrious figures from the past was commonplace in apocalyptic literature from its very inception. The Ethopic and Slavonic Books of Enoch are perhaps the best example of this convention, since we can be certain that these writings did not originate with the antediluvian prophet of Gen 5:24. The tradition of naming prophetic texts after heroic figures of the past can also be found in various other apocalyptic and extra-biblical writings - a collection of works known as the pseudepigraphia. In fact the Book of Revelation is noted for being one of the only instances in apocalyptic literature which does not follow this custom. The author instead gives his own name - John. The use of a pseudonym to attribute mystical writings to noted authorities from the past was employed to gain immediate recognition for the work at hand, rather than relying on the (perhaps non-existent) reputation of the seers themselves. It was also a way of retaining anonymity and dedicating the work to figures of particular inspiration to the writer. So although the above prophecy drops a considerable amount of prestige regarding its provenance, whether or not it is a genuine oracle of St. Hildegard should not detract from the inherent prophetic ability it may still possess. That he should not be shut up in hell. That barbarian nations should never have the rule over us. That no one shall conquer us, that is the Scots, before seven years previous to the day of judgment, because seven years before the judgment we shall be destroyed in the sea, this is the third. This prophecy can be traced back to original documents dating from the 7th century (Tirechan's untitled memoirs of St. Patrick), which are based on the The Book of Ultan - an earlier now lost source written by a disciple of Patrick himself (the full text of Tierchan's work can be found online here). A reader has noted that the prayer that "no barbarian nations" should ever have rule over Ireland, has so far proved true in the fact that it has only ever been conquered by Christian nations. We should also note that the word "Scots" here refers to the Irish people rather than the present sense of the term. The Irish were referred to as Scoti in Latin, and Irish rule over Northern Britain during the Dark Ages gradually saw the term being transferred to that country. The above prophecy is believed to be taken from a 9th century document titled Colum Cille cecinit, but so far the earliest source it can be traced back to is O'Kearney, N. The Prophecies of Ss. Columbkille, Maeltamlacht, Ultan, Seadhna, Coireall, Bearcan, Malachy, &tc (Dublin: John O’Daly, 1856) – a book which is known to contain many spurious prophecies formulated as rhetoric for the 1798 Irish rebellion. It is possible that this quatrain is based on an earlier source or tradition, such as the Leabhar Breac, but currently its origins remains untraceable. It is unlikely that the original prophecy was made by St. Colmcille, but instead may have developed from the earlier, almost certainly authentic literature concerning the life of St. Patrick. The prophecy of Ireland being destroyed by end-time floods is intimately related to the other material in Public and private revelation which tells of an eschatological inundation, and seems to be inextricably linked to the threat posed by the collapse of the volcano Cumbre Vieja into the Atlantic ocean (see the earlier post Mega-tsunami, where I show how this event is connected with the "great mounatin, burning with fire" being thrown into the sea in Rev 8:8, as well as several other biblical passages). This would lead us to ask why Ireland seems to be the sole focus of the prophecy of St. Patrick? Why would when there are so many other countries in even greater risk from this catastrophe. One explanation may be found in the fact that this prediction was made almost one thousand years before the discovery of America by the Europeans. The other countries which will be affected by this disaster would simply have been unknown to the saint. According to Christian prophetic tradition, the tribulation period at the end-time (which includes the reign of the Antichrist) will last for a total of seven years. 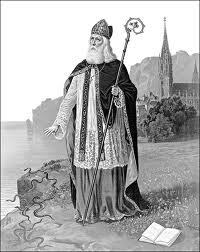 The fact that the prophecy of St. Patrick foretells that Ireland would be destroyed by the sea seven years before the last day in order to spare the Irish from the reign of the Antichrist therefore suggests that the rule of this end-time tyrant will only take place after the catastrophic flooding caused by the collapse of the volcano Cumbre Vieja into the sea. 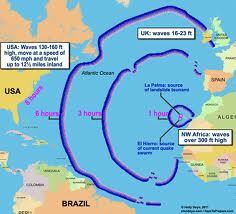 Mega-tsunami Update: Recent seismic activity in the Canary Islands - Cause for Alarm? The Fall of Rome - A Template of End-Time Events? The description of the fall of Babylon is perhaps the most detailed single narrative thread of the Book of Revelation. Spread over three chapters, we are told of the rise and fall of this eschatological world empire, and the horror and disbelief of the surrounding nations as they watch its destruction unfold "in a single hour" (Rev 18:10). Above all, it is the earth's merchants that lament its loss, as the abundant riches it poured into their bloated coffers are no more, and the rest of the world is sent spiralling into economic chaos. In the original Greek of the above text, the word translated as "every" here is actually the Greek word pasa, which means "all", "entire", or "whole" (the Greek word for "every" is kathe), and the word for "island" is used in the singular nesos, rather than plural nesoi. So the above verse is better translated as "And the whole island fled away, and the mountains were not to be found". Translated in this manner, the verse conjures imagery of a lateral collapse such as that which is expected to occur at Cumbre Vieja. The Apocalypse borrows imagery from various OT sources in its depiction of the fall of Babylon, and is particularly reliant upon chapter 51 of the Book of Jeremiah in this instance. 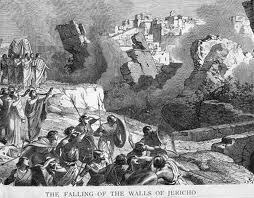 As we can see above, Jer 51:42 curiously describes the landlocked ancient city of Babylon as being destroyed by the sea. The author of the Book of Revelation seems to perceive that these words of Jeremiah transcend their immediate context, and foreshadow events to come at the end of the age. A destroying mountain which "destroys the whole earth" becomes a burning mountain which is rolled down from the crags (the original Hebrew word "serepah" used here also allows the present participle "burning", and it is translated as such in the Recovery Version of the Bible: "Indeed, I am against you, O mountain of destruction, Declares Jehovah, Which destroys the whole earth; And I will stretch out My hand upon you And roll you down from the rocks And make you a burning mountain."). “A voice! A cry from Babylon! The noise of great destruction from the land of the Chaldeans! For the LORD is laying Babylon waste and stilling her mighty voice. Their waves roar like many waters; the noise of their voice is raised, for a destroyer has come upon her, upon Babylon..."
It is interesting to note that in a later article issued to defend their findings in the face of some objections to the extent of the predicted collapse of Cumbre Vieja, Ward and Day together with supporting geophyicists Bill McGuire and Christopher Kilburn stated that if anything, their original estimates were conservative (McGuire, B; Day, S; Kilburn, C; Ward, S.N. “Volcano collapse-generated megatsunamis: Fact or Fiction?”. See the full article here). So the projected devastating effects of this unparalleled disaster could be even worse than that presented in the above documentary. The fact that the author of the Apocalypse based the lamentation over the fall of the eschatological "Babylon" on this account in Ezekiel suggests that we should look to this text to find supplementary material to compliment the account given in Rev 18. When we do so, we find that the means of the downfall of Tyre - that it would be destroyed by the sea, is the most notable complimentary addition we can make. Taken together with the description of the angel casting the millstone into the sea in Rev 18:21 saying: “So will Babylon the great city be thrown down with violence, and will be found no more” (Rev 18:21), therefore strongly suggests that "destruction by sea" is the most significant theme to be gleaned from both texts. Consecrate for war; stir up the mighty men. Let all the men of war draw near; let them come up. Beat your plowshares into swords, and your pruning hooks into spears; let the weak say, “I am a warrior.” Hasten and come, all you surrounding nations, and gather yourselves there. Bring down your warriors, O LORD. Let the nations stir themselves up and come up to the Valley of Jehoshaphat; for there I will sit to judge all the surrounding nations. The sun and the moon are darkened, and the stars withdraw their shining. The LORD roars from Zion, and utters his voice from Jerusalem, and the heavens and the earth quake. But the LORD is a refuge to his people, a stronghold to the people of Israel. In Unveiling the Apocalypse, I argue that the geophysical instability caused by this eschatological earthquake is directly linked with the collapse of Cumbre Vieja. If we look at the above verses, a pattern begins to emerge. In Ezek 38 above, the eschatological earthquake causes mountains and cliffs to be thrown down (the "great mountain, burning with fire" of Rev 6?) and precipitates a world war (every man's sword will be against his brother). In Joel, God himself enters into judgment, with his voice causing a huge earthquake, and the nations gather in "the Valley of Decision" for the eschatological battle. And in Rev 16, the eschatological earthquake causes the "cities of the nations" to fall, and God remembers to punish "Babylon the great". Geophysicists now recognize that earthquakes can boast magmatism in areas of volcanic activity, and use seismic events as indicators of potential volcanic eruptions (see here). So it is theoretically possible that this, the greatest earthquake known to human civilisation (which is centred on the area around Jerusalem), will greatly increase magmatism over a vast area. Volcanic eruptions could soon follow this event, and if it was to trigger an eruption in the Canary Islands, the ensuing mega-tsunami would devastate the east coast of the Americas, thus creating the geo-political conditions necessary for the rise of the Antichrist and battle of Armageddon. The guttural voice, the voice of Satan in his pride, boasting to Our Lord: "I can destroy your Church"
“Finally, as though coming to his senses, he lightly but firmly tapped his hand and rose to his feet. He headed for his private office. His retinue followed anxiously and solicitously, whispering: ‘Holy Father, are you not feeling well? Do you need anything?’ He answered: ‘Nothing, nothing.’ About half an hour later, he called for the Secretary of the Congregation of Rites and, handing him a sheet of paper, requested that it be printed and sent to all the ordinaries around the world. What was that paper? It was the prayer that we recite with the people at the end of every Mass. 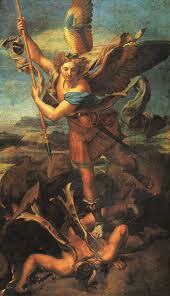 It is the plea to Mary and the passionate request to the Prince of the heavenly host, (St. Michael: Saint Michael the Archangel, defend us in battle) beseeching God to send Satan back to hell." The fact that Fr. Pechenino's account confirms the later 1933 version, can be used to establish that the prophecy of the 100 years of Satan's greater power is in fact genuine. If we compare both texts above, we can see that Fr Pechenino's testimony concurs almost exactly with the original version of the story behind the prophecy. The only difference is that Fr. Pechenino was not told exactly what Pope Leo experienced during this vision, which suggests that the Holy Father confided what he saw to someone else - the retinue who Fr. Pechenino saw following the pope afterwards and was questioning him. Being a member of his personal entourage, the retinue would have been a close confidant of the pope, and the details of the vision were probably given to him. This would make the retinue the most likely source of this prophecy, and how it was circulated in the Vatican. But when should this 100 year period be calculated from? Most interpreters think that the hundred years referred to the 20th century, and some later versions of this prophecy explicitly state this view. While the original version doesn't mention a specific starting point, there are only two real options - either the year the vision was first received, which according to the first account was 1884, or the turn of the century. It seems the latter position is the most likely, since in what he himself described as the "greatest act of my pontificate", Pope Leo XIII consecrated the world to the Sacred Heart of Jesus on June 11th 1899, as requested by Blessed Mary of the Divine Heart (see here). Since this was obviously a date of utmost importance to the pontiff, and it commenced at a symbolically significant turning point (the end of the century), it would be logical to assume that the dawn of the 20th century was the beginning of the 100 years allotted to Satan. Though already present in his Church, Christ's reign is nevertheless yet to be fulfilled "with power and great glory" by the King's return to earth. This reign is still under attack by the evil powers, even though they have been defeated definitively by Christ's Passover. Until everything is subject to him, "until there be realized new heavens and a new earth in which justice dwells, the pilgrim Church, in her sacraments and institutions, which belong to this present age, carries the mark of this world which will pass, and she herself takes her place among the creatures which groan and travail yet and await the revelation of the sons of God." Then they will deliver you up to tribulation and put you to death, and you will be hated by all nations for my name's sake. And then many will fall away and betray one another and hate one another. And many false prophets will arise and lead many astray. And because lawlessness will be increased, the love of many will grow cold. During this "little while" at the end of the "thousand years", Satan would be granted a period of greater power, much like in the Book of Job. Indeed the prophetic vision of Pope Leo XIII directly bases itself on the story of Job in the Old Testament. Here, Satan is granted greater power over Job, God's faithful servant, in order to test his level of faith. While Satan believes that he will be able to make Job turn his back on God by heaping atrocities upon him, the Heavenly Father is certain that Job will remain faithful in patient suffering. Job then has to endure a series of trials inflicted upon him at the hand of Satan, in order to prove his faithfulness to God. But in the vision of Leo XIII, the Church itself takes the place of Job. During this new "trial of Job", Satan uses the increase in lawlessness (in the horrors of war and genocide) in an attempt to destroy peoples' faith in God, making the love of many grow cold. And in the light of the general apostasy which followed the horrors of the two World Wars and the genocides of the 20th century, it seems that this tactic has paid off spectacularly. Which isn't at all surprising, given the fact that the exposition of the philosophical problem of evil is one of the primary weapons of modern atheism. Once the "thousand years" were over, the forces of evil really did surround the City of God, and the Church is still being besieged by the modern secular values espoused in the principles of Freemasonry. In my book, I show how this prophecy of the appearance of demonic flying armour-clad locusts actually concerns the invention of military aircraft at the turn of the 20th century - right at the beginning of the 100 years of Satan's greater power. And that this was timed to exactly coincide with a "star" falling to earth - the Tunguska event of 1908 - when a large meteorite or asteroid exploded above the wilderness of Siberia (see the post Tunguska, Pope Leo XIII and the Opening of the Abyss, for further details on this subject). So just as the "little while" given to Satan mentioned in Rev 9 and 20 is marked by the appearance of the apocalyptic locusts and a star falling to earth, the beginning of the 100 years of Satan's greater power foretold by Pope Leo XIII coincided with the invention of military aircraft and the Tunguska event. In order to find out more information on what happens during the "little while" given to Satan, we must turn back to Rev 20, where we are told that after the Devil is released from his prison, he "will come out to deceive the nations that are at the four corners of the earth, Gog and Magog, to gather them for battle; their number is like the sand of the sea" (vv7-8). Once again, this corresponds almost exactly with the reality of the situation at the beginning of the 20th century - at the start of Satan's 100 years of greater power. The nations at the four corners of the earth truly were gathered together for battle, in the two greatest wars the world has ever known. The sixth angel poured out his bowl on the great river Euphrates, and its water was dried up, to prepare the way for the kings from the east. And I saw, coming out of the mouth of the dragon and out of the mouth of the beast and out of the mouth of the false prophet, three unclean spirits like frogs. For they are demonic spirits, performing signs, who go abroad to the kings of the whole world, to assemble them for battle on the great day of God the Almighty. In the book, I argue that the three "woes" described in chapters 9-11 of the Book of Revelation correspond to three world wars, and that each of these "woes" are also represented by the three unclean spirits like frogs that issue from the mouths of the Dragon, False Prophet and the Beast. The first two woes refer to the two world wars, while the third woe represents the last great war - the battle of Armageddon. We are told above in Rev 16 that a noteworthy event precedes the coming of the unclean spirits of the Dragon, Beast and False Prophet to gather the nations for war - the drying up of the river Euphrates in Mesopotamia. It is interesting then to note that construction on the Hindiya Barrage on the river Euphrates lasted between the years 1911-1913 - just immediately before the outbreak of WWI in 1914. The Hindiya Barrage was the first modern dam erected on the Euphrates. During its construction, a new river bed was excavated and then inundated after its completion, while the old river bed was blocked with dams. So the Euphrates was indeed "dried up" just before the three demonic spirits began to assemble the armies of the whole world for battle. Which helps us to further establish that this parallel passage concerning the gathering of the nations for war is exactly the same event described as occurring at the end of the "thousand years": "And when the thousand years are ended, Satan will be released from his prison and will come out to deceive the nations that are at the four corners of the earth, Gog and Magog, to gather them for battle; their number is like the sand of the sea." (Rev 20:7-8). Also if we are to take the "75 years" element of this prophecy as an indication of a different date other than the end of the century, as an alternative span for determining the dates connected to Satan's "little while", then it is noteworthy that calculating 75 years from 1914 brings us to the year 1989 - the year of the fall of Communism. The fruits of the "spark from Poland" which St. Faustina predicted would pave the way for the Second Coming of Christ. In the earlier post The Three Days of Darkness and the Angelic Pope, we have already noted that this year was highly significant to the Third Secret of Fatima, especially given the connection with the dates which can be calculated from the 153 fish of the Second Pentecost (153 times 13 - the number of Jesus and the 12 apostles - gives 1989). "And they marched up over the broad plain of the earth and surrounded the camp of the saints and the beloved city"
"the sentence 'The evil spirits who wander through the world for the ruin of souls' has a historical explanation that was many times repeated by his private secretary, Monsignor Rinaldo Angeli. Leo XIII truly saw, in a vision, demonic spirits who were congregating on the Eternal City (Rome). The prayer that he asked all the Church to recite was the fruit of that experience. 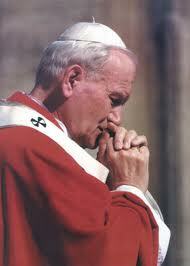 He would recite that prayer with strong, powerful voice: we heard it many a time in the Vatican Basilica. Leo XIII also personally wrote an exorcism that is included in the Roman Ritual. He recommended that bishops and priests read these exorcisms often in their dioceses and parishes. He himself would recite them often throughout the day." This would suggest that the original source of the prophecy of the 100 years of greater power was actually the Pope's private secretary - Mgr. Rinaldo Angeli, and that this is the same retinue mentioned by Fr. Pechenino - the one who followed the pope immediately after he received his vision. Given that Mgr. Angeli had been the Holy Father's private secretary since shortly after his election in 1878, this would make him the most likely candidate for the source of this prophecy. O glorious Archangel St. Michael, Prince of the heavenly host, defend us in battle, and in the struggle which is ours against the principalities and Powers, against the rulers of this world of darkness, against spirits of evil in high places (Eph 6:12). Come to the aid of men, whom God created immortal, made in his own image and likeness, and redeemed at a great price from the tyranny of the devil (Wis 2:23-24, 1 Cor 6:20). Fight this day the battle of the Lord, together with the holy angels, as already thou hast fought the leader of the proud angels, Lucifer, and his apostate host, who were powerless to resist thee, nor was there place for them any longer in Heaven. But that cruel, that ancient serpent, who is called the devil or Satan, who seduces the whole world, was cast into the abyss with all his angels (Rev 12:7-9). (Rituale Romanum, 6th ed. post typicam, (Ratisbon: Pustet 1898), 163ff). 2. This twofold kingdom St. Augustine keenly discerned and described after the manner of two cities, contrary in their laws because striving for contrary objects; and with a subtle brevity he expressed the efficient cause of each in these words: "Two loves formed two cities: the love of self, reaching even to contempt of God, an earthly city; and the love of God, reaching to contempt of self, a heavenly one. "(1) At every period of time each has been in conflict with the other, with a variety and multiplicity of weapons and of warfare, although not always with equal ardour and assault. At this period, however, the partisans of evil seems to be combining together, and to be struggling with united vehemence, led on or assisted by that strongly organized and widespread association called the Freemasons. No longer making any secret of their purposes, they are now boldly rising up against God Himself. They are planning the destruction of holy Church publicly and openly, and this with the set purpose of utterly despoiling the nations of Christendom, if it were possible, of the blessings obtained for us through Jesus Christ our Saviour.